You're looking at the balcony of the Avro Business Jet Explorer One. Its creators - BAE and Design Q - say that the "Air Deck" is a first in aviation history. True. It's also the most stupid invention in aviation history. They say: "The ‘Air Deck' transforms the rear of the aircraft into the ultimate living space, providing an elevated outdoor viewing deck combined with a luxurious indoor space incorporating a state-of-the-art entertainment system and vast open plan galley." 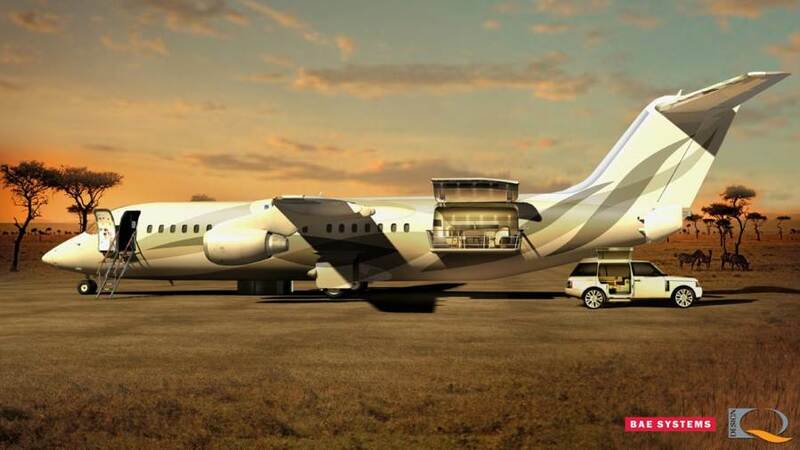 In other words: This will transform your private jet into a flying luxury caravan. 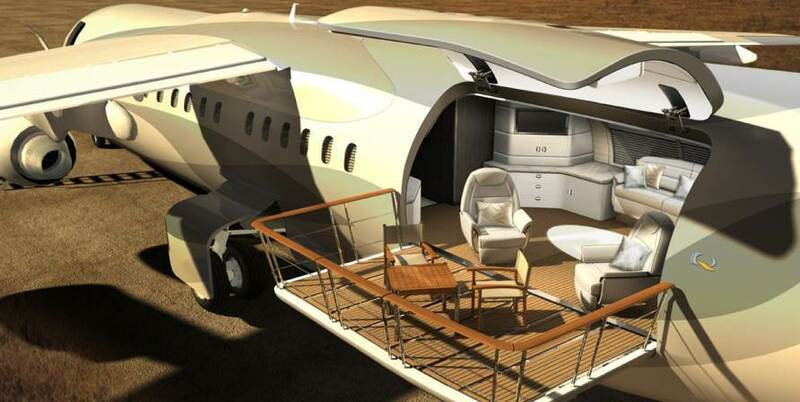 And yes, there's no question that it looks pretty and spacious, but why would anyone like a private jet with a deck? To have nice views of the runways and the airport before taking off? To be able to sniff the kerosene instead of the complementary flight blow? Because you can't land this thing in the middle of a mountain. You have to land this on an airport, even if it's a runway in the middle of the African plains.